The Bible has been the torch of civilization and liberty. The Judeo-Christian Bible has shaped not only religious thought, but also politics, law, education, literature and culture. Even though we have looked at the Bible through the glasses of conflicting creeds, the Bible has impacted mankind as no other book in history. The Bible is the foundation of ideas and principles upon which Western civilization rests. The moral influence of the Bible has been consistently good. Other writings about God may have brought some benefit, but the Bible has brought hope and peace as no other book. The message of the Bible has often been grossly misrepresented, even by its friends. People sometimes mistakenly take its symbolic language as literal. Because the Bible is its own interpreter, the Bible has to be understood as a whole. Many of its gems of wisdom and truth lie on the surface, but its richest treasures lie below its surface. Those who dig into the Bible deeply find God's character and Plan revealed in glorious beauty. The purpose of the Scriptures is wonderful, harmonious and just—presenting the opportunity for everlasting life for every person who has ever lived. The Bible's claim to be a revelation from our Creator God is well worth our thoughtful, honest investigation. The Bible is among the very oldest books in existence. It has outlived the storms of over thirty centuries. Men have tried by every means possible to banish it. At times they have even made its possession a crime punishable by death. When the Bible was wrested from the hands of priests during the Reformation, it was put into the outstretched arms of common people. This move had a fundamental impact on the world. Today, while so many of its enemies slumber in death, the Bible has found its way into every nation. It has been translated into 438 languages—and portions of it into over 2,000 languages. The Bible's Author has also been its Preserver. While archeology cannot “prove” that the Bible is God's Word, no archeological find has yet contradicted the Bible. Instead today archeology continues to verify the history in the Bible. The Dead Sea Scrolls contain portions of the Hebrew Bible that are two thousand years old and confirm even the integrity of the text. A stone inscription dug from the northern area of Dan expressly mentions “the House of David.” The Bible’s reference to the Hittites as an ancient power was long ridiculed, but today we have abundant evidence for the existence of such a people. There are 3,300 numbered manuscripts of the Greek New Testaments known today, a comparable number for the Hebrew Old Testament (plus 227 more Dead Sea Scrolls), and over 10,000 more in Latin and other ancient versions. No other document of antiquity even begins to approach such numbers. The 66 books of the Bible were written on at least three continents covering over 4,000 years of history. The Bible was written by 40 authors from every walk of life: kings, peasants, philosophers, fishermen, poets, statesmen, and scholars. Moses was a political leader, trained in Egyptian universities; Peter, a fisherman; Amos, a herdsman; Joshua, a military general; Luke, a doctor; Daniel, a prime minister; Solomon, a king; Matthew, a tax collector; and Paul, a Jewish Pharisee and lawyer. What were the motives of these inspired writers? They must have been pure and their object grandly sublime. Their honesty is attested by their disclosing even their own faults. King David confessed his sins in abject humility (Psalm 51). Elijah, dejected and discouraged, cried “I am not better than my fathers” (1 Kings 19:4). Jeremiah admitted not wanting to speak God's word any more—but then he could not quench his burning zeal (Jeremiah 20:9). Paul openly lamented he was once a persecutor of the Church (1 Corinthians 15:9). What motives inspired the disciples to promote the cause of Jesus? His own people condemned him. He died accused of blasphemy and treason. The writers of the New Testament braved contempt and bitter persecution and risked life itself—most of them died as martyrs. Only integrity and honest conviction explains such dedication. 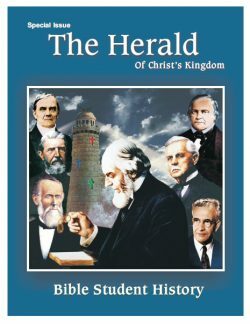 The writings of the Old Testament—from the Garden of Eden, through the histories, the Law, and the Prophets—all point forward to the Messiah of the New Testament. The genealogies trace the promised “seed” of Abraham (Genesis 22:17,18) destined to bless “all the families of the earth” (Genesis 28:14). This “seed” can be traced in the Bible to Isaac, Jacob, Judah, through the kingly line of David, right down to Mary (Luke 3:23-38). The recording of these histories, in testimony of our Lord Jesus, was certainly guided by God, the Author of the Bible. The Scriptures detail the role and work of Jesus from his temptations in the wilderness, to his crucifixion as a criminal, culminating in his resurrection from the tomb. They explain that Messiah had first to suffer and then enter into glory (Isaiah 53:12, Luke 24:26). The Bible says Christ will establish the Kingdom of God “on earth, as it is in heaven” (Matthew 6:10). It speaks of the “times of restitution” that Christ will bring at his return, “spoken by the mouth of all his holy prophets” (Acts 3:21). The Bible even records the signs of Jesus’ return to establish that Kingdom (Matthew 24:1-3). The Law Covenant, which God made with Israel, was as a monument in time for its laws of equality in the treatment of man. The Ten Commandments, which summarize that Law, still remains a remarkable code of worship and morals. Jesus summarized the Law, “Thou shalt love the Lord thy God with all thy heart ... [and] thy neighbor as thyself” (Mark 12:30-31). The moral excellence of this Law is a testimony to its source, the Father of all creation. God Himself had earlier destroyed Sodom and Gomorrah, “as I saw good” (Genesis 19:20-28, Ezekiel 16:49, 50). In doing so, God interrupted their downward spiral of iniquity, as He did for the world at the time of the Flood (Genesis 6:11-13). The same applied to the Canaanites (see Joshua 3:9, 10; 10:40-43, Genesis 15:16). By arresting their descent into sin, those people will be less debased when they return in the resurrection, more able to progress upward out of the mire, back to righteousness. All of them—Sodom, Canaan, even apostate Samaria and wicked Judah—will be raised, will repent, and will be forgiven (Ezekiel 16:53). “Nevertheless, I will remember My covenant with you in the days of your youth, and I will establish an everlasting [New] Covenant with you. Then you will remember your ways and be ashamed when you receive your sisters [Sodom and Samaria]...and I will give them to you as daughters, but not because of your [Old Law] covenant...I will establish My covenant with you” (Ezekiel 16:53, 60-62, nas). The Law Covenant of the Old Testament pointed forward to a “New Covenant” which God would establish with “better sacrifices,” and a better mediator—and which would bring redemption for all! (Hebrews 9:23; 12:24, Jeremiah 31:31-34). The Law of Moses gave remarkable laws for government and society, unique and advanced for its time. Because of human imperfection, however, that Law was not kept. Nevertheless, the standards it expressed had an ennobling influence. The government instituted by Moses differed from all others, ancient and modern, in that it claimed to be from the Creator Himself. The people were held accountable to God. Though Israel had a priesthood for their Tabernacle and Temple, the priests were given no civil power. Surely this would not have been the case if the Law was merely the invention of plotting priests. In a sense, Israel's government was founded as a democracy and a republic—under God's laws. God told Moses to bring the Elders, who represented the tribes, to help him administer the affairs of the nation (Numbers 11:16, 17; Deuteronomy 1:15-17). This form of government was calculated to encourage the spirit of liberty. This republican form of government continued for over four hundred years. Then the Elders wanted to be like surrounding nations. They pressed the Prophet Samuel for a king. Samuel told the people how their rights and liberties would be disregarded, but the people persisted. So God told Samuel, “Hearken unto the voice of the people….they have not rejected thee, but they have rejected Me, that I should not reign over them” (1 Samuel 8:5-10). As warned, most of the kings of Israel and Judah were wicked—and the people did suffer. But God did not abandon them. Under the Law Covenant, there were laws for the protection of the poor. This accountability for rich and poor on a common level before civil law is unique even in our twenty-first century. The law provided for a restoration of forfeited land every fiftieth year—their Jubilee year (Leviticus 25:9,13-23,27- 30). This prevented the permanent loss of property to families because of debt. ● Protection against excessive interest on loans (Exodus 22:25; Leviticus 25:36, 37). ● Widows and orphans were not to be oppressed (Exodus 22:22). ● Hired help was not to be oppressed (Leviticus 19:13; Deuteronomy 24:14). ● Foreigner’s rights were guaranteed (Exodus 12:49; Leviticus 19:33, 34). ● Animals are guaranteed food and rest (Deuteronomy 25:4; Exodus 23:12). All these laws were designed by God—not by ambitious priests for selfish purposes. Indeed, the priestly tribe of Levi did not even receive a share in the Land as the other tribes did. They only had certain cities or villages for residence scattered among the various tribes (Numbers 35:1-8). Even the tithes the priests were to receive from the people were voluntary (Numbers 18:22-28). The term “Prophet” signifies a public expounder. The Prophets' messages from God to the people were often a reproof for sin and coming punishments. Also woven into their messages were promises of blessings if they would repent and reform. Usually the Prophets of God were not popular and often their lives were in peril, as with Elijah, Isaiah and Jeremiah. Yet they faithfully gave God's unpopular messages, and by inspiration they were recorded in the Scriptures. Many Prophets of the Bible were not only public teachers, but they also forecasted the future. The Bible is unique in its prophecies as no other book claiming to be holy. The Mohammedans with their Koran, the Buddhists with their Tripitaka and the Hindus with their Vedas and Upanishads—all lack significant evidences of any fulfilled prophecy. Linking the Old and New Testaments, there are literally hundreds of prophecies about the coming of Messiah that Jesus fulfilled during his first advent. Jesus would be born in Bethlehem (Micah 5:2; Matthew 2:1-2). As a “lamb” he would be without blemish and without a bone broken (Exodus 12:5, 46; John 19:31-36; 1 Peter 1:19). He would be betrayed by a familiar friend (Psalm 41:9; John 13:18). He would be “numbered with the transgressors” (Isaiah 53:12; Matthew 27:38). By contrast, Islam cannot point to any prophecies about Mohammed from centuries before his birth. 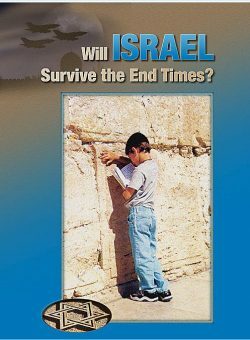 Other prophecies of the Bible about Jesus' return and the end of the age are being fulfilled visibly before our very eyes. 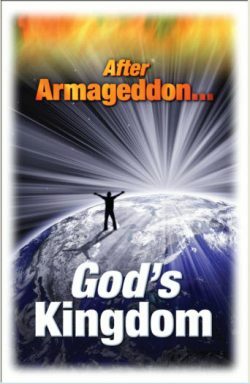 The ending of the old order, and the beginning of Christ's Kingdom, were to come in a time of unprecedented world trouble (Daniel 12:1; Matthew 24:21, 22). This we have seen in two world wars and the development of atomic weapons which could wipe out all life on the earth. Prophetically, a final cataclysm, Armageddon, is yet impending. But the end of the Age would also be the time for the regathering of Daniel’s “people,” Israel, in preparation for the Kingdom (Daniel 12:1). Israel would be like a “fig tree” putting forth “leaves” (Jeremiah 24:5, 6; Matthew 24:32). Thus we see after eighteen centuries Jews returning to their Land beginning in 1878, the Zionist movement since 1897, the Balfour Declaration in 1917 and the reestablishment of the State of Israel in 1948. However, together with the regathering, prophecy indicates it will be accompanied with “travail” (Jeremiah 30:3-7). One common line of thought is interwoven throughout the Law, the Psalms, the Prophets, and the New Testament (Luke 24:44). One plan, aim, and purpose pervades the entire Bible. The harmony in contrasting the first three and the last three chapters of the Bible is especially striking. Only the Bible gives a reasonable and harmonious statement of the cause of the present evil world, its only remedy, and the final wonderful destiny of mankind. However, because of sin, reconciliation to God could only come from the sacrifice of life. The necessity of the death of a redeemer for man was demonstrated from God’s acceptance of the lamb offered by Abel, the offering of Isaac, and all the sacrifices of the Tabernacle and Temple. Since Adam was tried in a state of perfection, God’s justice required a perfect sacrifice for sin and so He gave His only begotten son to be a “ransom for all to be testified in due time” (John 3:16; 1 Timothy 2:5,6). Based on that sacrifice, God will bless the entire world. The Bible unfolds God’s Plan from the early statement that the “seed” of the woman would crush the serpent (Genesis 3:15). Paul identifies that “seed” as Christ Jesus and his Church (Galatians 3:16, 29). Later God promised Abraham that the blessing would come through him: “In thy seed shall all the nations of the earth be blessed” (Genesis 22:18). He was told his seed would be as the “stars of heaven” as well as the “sand which is upon the seashore” (Genesis 22:17). The “stars of heaven” aptly represent a Heavenly Class that will reign with Christ in his Kingdom. They will be “kings and priests” blessing the entire world represented as the “sand which is upon the seashore” (Revelation 1:6; 5:10; 20:6). 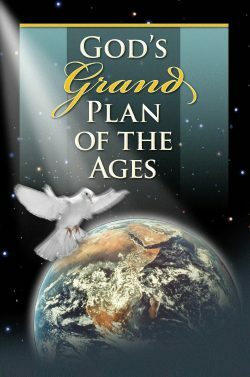 Succeeding studies in this book will reveal the astonishing details of when and how the Plan of God will bless all the families of the earth. It will be the time when the prayer uttered so often will be fulfilled—“Thy Kingdom come. Thy will be done in earth, as it is in heaven” (Matthew 6:10). Having seen that there is a supreme intelligent Creator, reason would expect that He would reveal His plans and purposes to His intelligent creation. The Bible claims to be that revelation. As we consider its testimony, we find its scope, depth and harmony convincing that Almighty God—not man— is the Author of the Holy Scriptures. 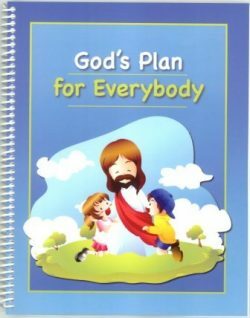 As the length, breadth, height and logic of God’s Plan unfolds, we will see God is truly a loving Creator who will give an opportunity for life, health and happiness to every man, woman and child who has ever lived.